ARBOR Technology Corp., founded in 1993, is a global provider of dedicated industrial IoT computing and mobility solutions. 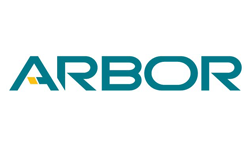 ARBOR offers comprehensive system integration, customer-centric design services, embedded systems, automation products, and global logistics support. We cooperate closely with our partners to develop complete solutions for a wide array of applications across a diverse range of industries. Our mission is to enable an intelligent planet by providing mobility and embedded computing products that make working and living smarter. With ARBOR, there is no limit to how smart your business can be! 10F., No.700, Zhongzheng Rd., Zhonghe Dist.